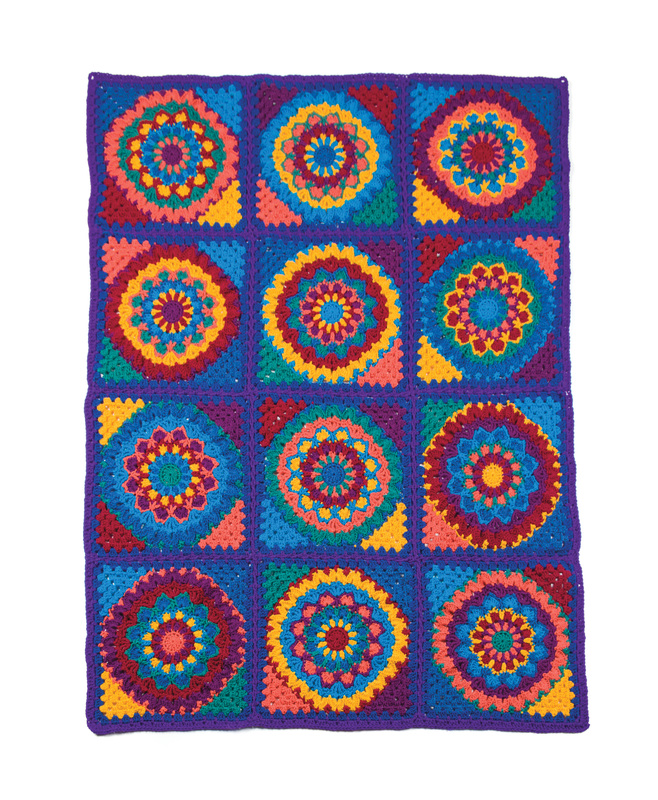 When Mandala meets Granny, the result is an amazing explosion of color in an afghan perfect for any home! 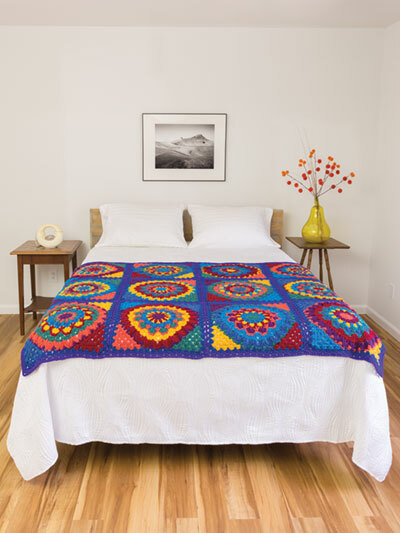 This beautiful design is made using Red Heart Super Saver worsted-weight yarn and a size I/9/5.5mm crochet hook. Colors used are 2 skeins of royal and 1 skein each of gold, amethyst, burgundy, pool, coral, dark orchid, dark jade and blue suede. Pattern includes written instructions, color key and assembly diagram. Size: 50"W x 66"L. Originally published in Summer 2018 Crochet! magazine. Finally, got all of the yarn I needed for a better price than Amazon. Love this pattern. Can't wait to get a chance to make it. This is not the only pattern I have purchased from you. Again, it is not your fought, but I have learned that I need to take some classes before moving forward. I'm retired now. Looking forward to completing this project. It is absolutely beautiful. This was very easy to follow along. Had a lot of fun doing it. The only thing I would have changed is that I didn't like the orange or Coral in it. If I was to do it again I would have made it more of a pink. But recommend this highly. It's beautiful.